And a face lift for my display of lipsticks and perfumes. You can choose any size and any style. 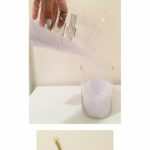 Another good option is a mason jar! I bought jars that had lids because I liked the shape and simplicity of them-the covers went right into the trash. The smaller the filler, the better. I really wanted to use larger diamond filler, but realized I’d be breaking a sweat trying to shove my brushes back in, making my morning routine that much more difficult. (I lied, my morning routine isn’t difficult at all, but I can foresee this would surely make your morning go astray). As I was saying, yes, the smaller the better, so when you take one brush out, the filler will do just that, fill in like sand, making the reentry of your brush smooth as pie. 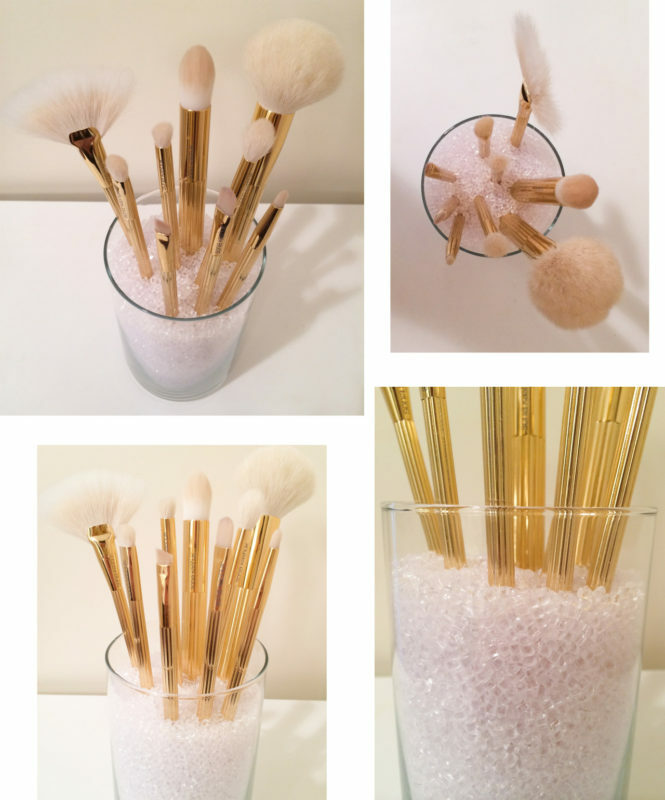 My brushes are by Sonia Kashuk from the Limited Edition Lavish Lux 10 Piece Set that I purchased around Christmas time 2013, so they no longer can be found. I’ve suggested other options here and here. 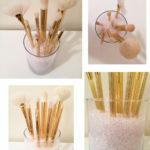 No need to go out and buy new brushes, use the ones you have. They do not need to be a matching set either. 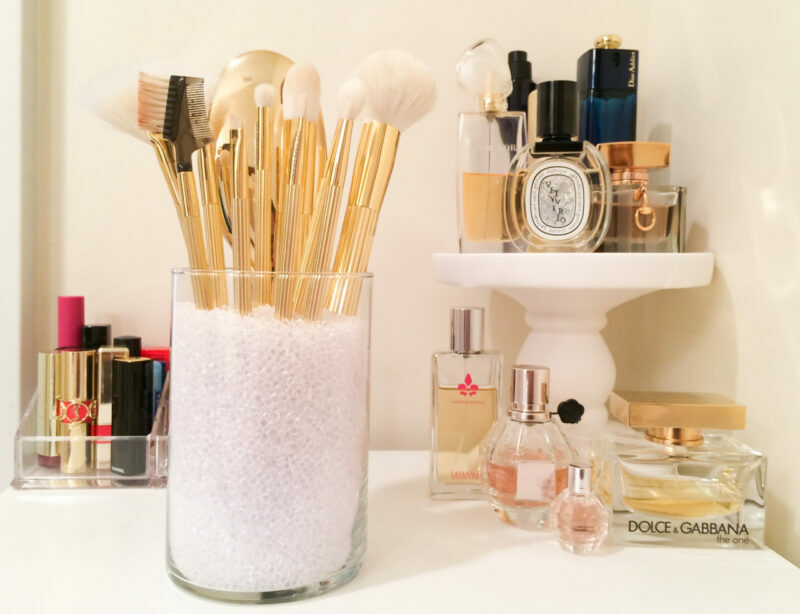 It’s just a cute way to store your brushes, as opposed to having them in a makeup bag, or tucked away in a drawer. Yes, I’m using a cake pedestal and don’t have cake on top of it…shocker. When you have multiple things on one shelf, all relatively around the same height, use boxes or pedestals to create different levels so you can find things easily. You can find something far less expensive at a Homegoods. I love re purposing things you wouldn’t normally use for home decor. Get creative and think outside of the box. Never realized how incredibly useful these things are!! 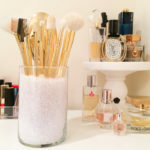 They are a must to keep all your lipsticks upright and looking sharp.